Cape Town - Faced with empty wallets and rising costs, thousands of South Africans are placing their faith in “get rich quick” schemes that lure desperate consumers with promises of unrealistic investment returns. However, whether a Ponzi or a pyramid scheme, it can be mathematically proven that such schemes will eventually collapse and leave investors with nothing. Ponzi and pyramid schemes are essentially the same, with both relying on contributions from new investors to pay existing investors the promised returns. These are usually totally unrealistic and not comparable to returns achieved by legitimate savings and investment products. 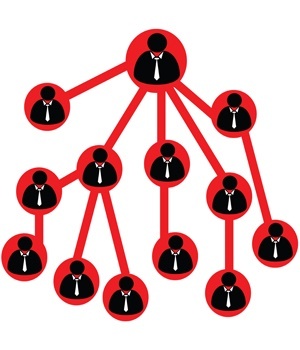 While investors in a pyramid scheme know that they need to recruit new members to maintain the flow of funds, Ponzi schemes claim to make legitimate investments but instead use the funds to enrich founders rather than for any legitimate business purposes. Given the current furore around MMM, described as a social financial network, Mike McDougall, CEO of the Actuarial Society of South Africa, was motivated to do some number crunching to show in simple, yet no uncertain terms, why such schemes are destined to fail. “It can be stated with absolute certainty that these schemes will eventually collapse, leaving many people financially destitute, while only the founders and a few early participants make considerable gains,” he said. “There are essentially two reasons for this. Firstly, if a scheme is paying out more than is being earned, it will run out of money. Secondly, such schemes need continuing growth in new members to sustain payments to existing members, and the reality is that they will ultimately run out of new investors,” he said. To demonstrate, McDougall points to the simple example of a scheme that begins with 100 members who each invest R1 000 with a promised return of 30% per month. Every month 100 additional members join the scheme and each invests the same amount until the scheme collapses. Members receive their first payment the month after they make their investment. In this example, the scheme begins with 100 members and total funds of R100 000. In the second month, there are 200 members and the fund closes with R170 000 after paying dividends of R30 000 to the founding members. The total dividends paid rapidly escalate each month as the membership base increases, until the scheme reaches its seventh month. In its seventh month, the scheme begins with R70 000 and receives an additional R100 000 from new investors. However, the scheme must now pay total dividends of R210 000 to its numerous members, leaving it in debt of R40 000. Instead of R300 each investor only gets R243 and the scheme collapses. “With more rapid growth in members or lower pay-outs, the scheme would continue for longer, but the result would ultimately be the same,” notes McDougall. As pyramid schemes rely on snaring new members, he emphasised that you should be wary of being dazzled by testimonies of high returns by people already in a scheme. “The reality is that by the time you join a scheme, you may just be propping the scheme up so that early joiners can profit at your expense. You and other new investors may never recoup even your initial capital amount, let alone make a return on your investment,” he warns. Using the same example of a scheme as above, McDougall put the numbers together to demonstrate the difference in returns between early joiners and late joiners of a pyramid scheme. If you were a member who entered the scheme at its inception with an investment of R1 000, you would have earned total returns of R2 043 by the seventh month when the scheme fails. This means that your return would have totalled an overwhelming 22% per month. However, if you had only joined the scheme in its sixth month, you would only have earned R243 back on your investment, representing a loss of 76%. If you had entered in the seventh month as the scheme collapsed, you would have lost your entire investment. “Those entering the scheme early can therefore make spectacular returns despite losing all their capital, while those joining later lose money. It’s a classic example of robbing Peter to pay Paul. The people who get in early are usually the founders of the scheme and those close to them,” he said. McDougall emphasised that you as an investor must learn to recognise the warning signs that a company is promising the impossible. “As the saying goes, if it sounds too good to be true, then it probably is,” he said. He notes that the online world particularly has enabled a potentially devastating unregulated digital pyramid scheme market to flourish, demonstrated by the recent collapse of the Republic of Bitcoin arm of MMM Global. “In seductively worded websites, a lack of control and regulation and the risk of losing everything are presented in a way that seems inconsequential and liberating – even when there are warnings to only invest ‘spare’ cash,” he said. He adds that some of these unregulated pyramid schemes have no formal structure or central control, relying only on the continuing donations and investments of an expanding community of loyal supporters. He notes that with the collapse of, among others, two infamous Ponzi and pyramid schemes in the last few decades, there has been a tightening of regulatory and control environments. “But even these cannot be an absolute guarantee against fundamentally crooked or high-risk operations, especially online,” he said. These two schemes were Ponzi scheme Masterbond and pyramid scheme Bernie L. Madoff Investment Securities. Masterbond claimed falsely to be a bank where deposits were guaranteed by the South African Reserve Bank, promising investors high returns from real estate developments. Prominent businessman Bernie Madoff’s United States-based investment firm also appeared to consistently outperform the market index and competitors. “While the honeymoon lasted, members were paid better than market returns on their funds. In reality, very few investments were actually made by Masterbond, and Madoff inflated returns. Investors eventually lost everything,” he explained. 1. How are returns generated? Legitimate investment schemes are transparent. You should be able to understand the scheme’s underlying assets. Even when derivative structures are used, you should be given enough information to understand your risks and potential returns. 2. How aggressively are you being pursued to join? Legitimate investment schemes generate returns from invested assets, where fraudulent schemes rely heavily on funds from new members to pay existing members. 3. How do returns compare with other similar products? If returns are unusually high, be very cautious. 4. How is the scheme regulated and audited? Regulators and auditors are not foolproof, but the lack of a solid regulatory structure means that no one can hold your scheme accountable for its practices or returns. He said that if you are not comfortable with any of the answers to your question, you should rather walk away from the scheme.